Nimbuzz today announces the UK launch of an application to provide mobile users and online communities with “free calls, chat and more.” Nimbuzz offers an all-in-one solution for free mobile VoIP calling, conference calling, instant messaging, chat and group chat, and photo and file sending across multiple IM communities, including Skype, MSN, Google Talk, Yahoo!, AIM, Jabber and ICQ, plus 23 social networks, including Facebook and Myspace. Once users download the Nimbuzz application for the mobile and register as a new user, contacts from their selected IM communities are aggregated into a single contact list with icons indicating real-time “presence” – which contacts are online or offline and from which communities. The new Nimbuzz mobile VoIP application works worldwide on Nokia Symbian Series 60 devices when connected using a 3G or Wifi network (with a Windows Mobile offering for release in June). For GPRS/EDGE connections, or when using Java-enabled phones, Nimbuzz also offers its “hybrid-VoIP” solution (as used by Skype) – for making international mobile calls at local dial-in cost – in as many as 50 countries. 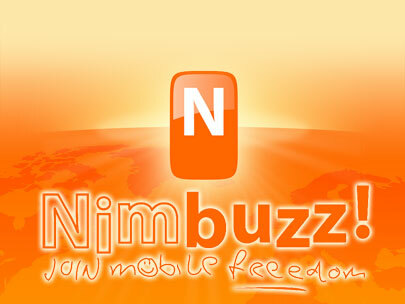 Nimbuzz is free to download and easy-to-use, but data usage is subject to network operator rates when used on the mobile, unless using a flat-rate data plan. On the social networking front, Nimbuzz is breaking new ground by bringing voice and mobile chat to social networks. The new six-button Communicator widget brings free calling, chat, text and voice messaging and file sending to social networks, email signatures and personal websites or blogs. Also introduced is the unique “buzz” feature which alerts your friends “offline” to join you online for a call or chat. Nimbuzz Mobile Nimbuzz for the Mobile is a free all-in-one solution for Internet-enabled mobile phones that allows you to take your IM buddies with you – wherever you go. Nimbuzz works on more than 500 handsets and with multiple messenger communities, including: Skype, MSN, Google Talk, Yahoo!, AIM and Jabber.